Help with activities for people with disabilities at Camp Stand by Me. Help with activities for people with disabilities at Camp Stand by Me. It will change your life! 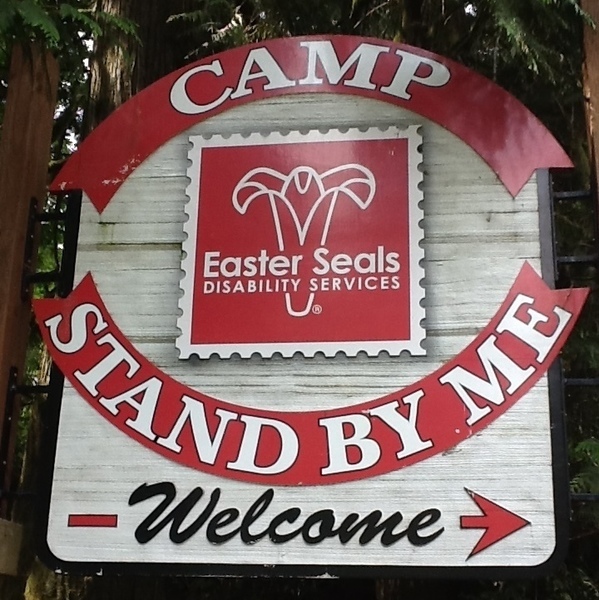 About Help with activities for people with disabilities at Camp Stand by Me. It will change your life! Camp Stand by Me is a place where people with disabilities ages 7 through adult can have the same camp experience and activities you'd expect to see at any camp such as swimming, archery, boating, horseback riding, campfires, and much more! Camp Stand By Me is a place where campers are told “YOU CAN!” and then given the support needed to succeed. Volunteering at camp is a powerful experience where you will be able to see first hand the impact of what we do. There are weekend respite sessions September through May twice a month from Friday night to Sunday noon. Come volunteer to help with activities for the whole weekend or just come for Saturday. Whatever fits your schedule best! Minimum age to volunteer is 16. Fill out our application online and email us at volunteer@wa.easterseals.com. Volunteers are required to submit to a background check and complete additional on-boarding paperwork. Log in to see who is volunteering for Help with activities for people with disabilities at Camp Stand by Me. It will change your life! !